Your reliable resource for replacement of Papaiz, Papaiz 322, Papaiz 323, Emtek 323, Emtek, MTS 323 and MTS Storm Door Locks / Screen Door Locks, and other locksets and lock parts for aluminum storm and steel security doors. When ordering locksets, what information should I have? You need to inform us of the thickness of the door so that we can provide you the handles with the appropriate spindle length. 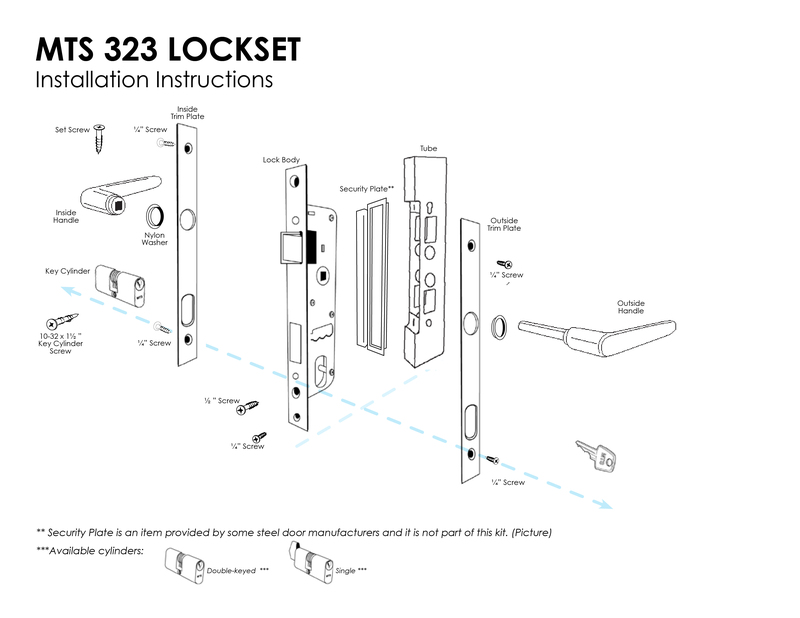 How do I install the MTS 323 Lockset? How can I reverse the latch? Our locksets come with the latch ready for left side door installation. 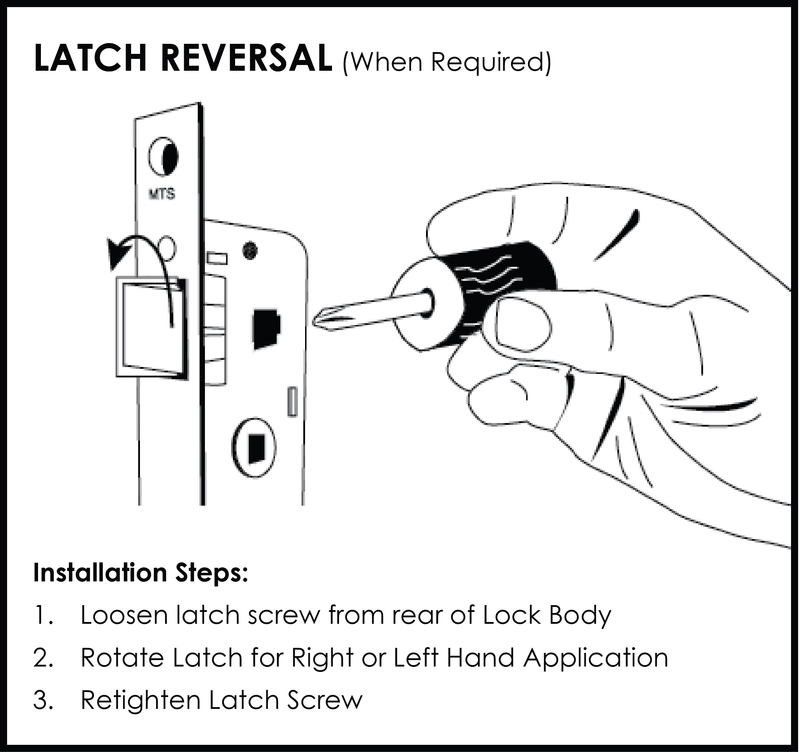 If your door is a right side door, you will need to reverse the latch of the lock body.